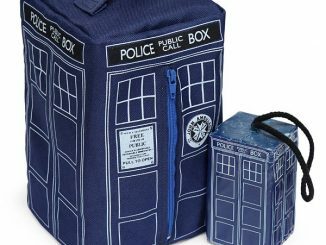 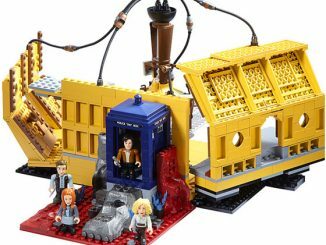 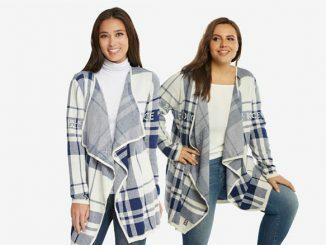 Traveling with a Time Lord leads to some interesting and chilly locations so the well-prepared Companion will have the Doctor Who TARDIS Print Girls Cardigan as part of their traveling ensemble. 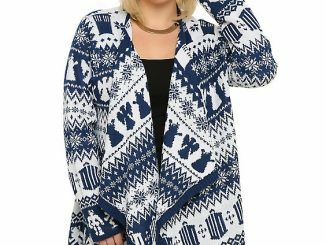 Made of 53% cotton, 40% rayon, and 7% nylon, this Doctor Who cardigan features an eye-catching repeating pattern of the iconic TARDIS in a variety of colors. 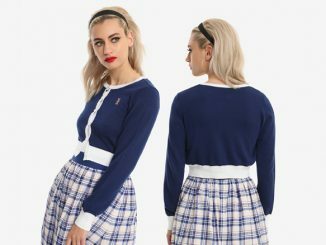 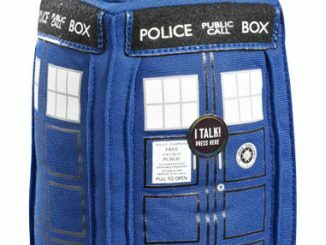 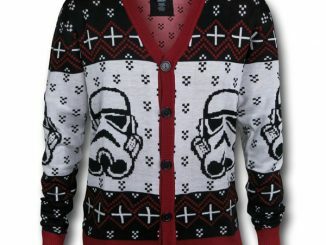 In addition to the allover TARDIS print, the sweater is trimmed in blue and white stripes with button closure down the front. 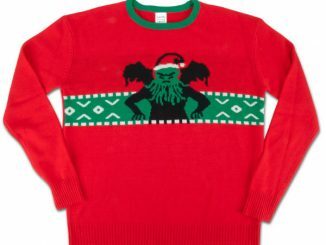 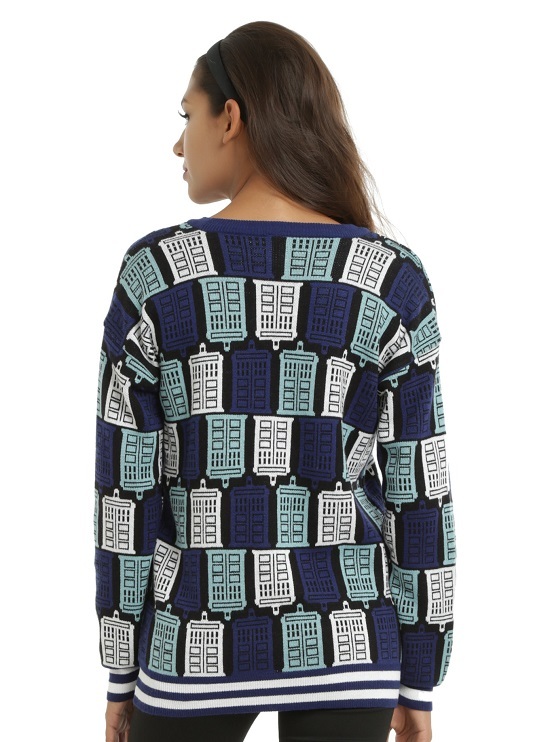 The Doctor Who TARDIS Print Girls Cardigan is available for $49.90 at Hot Topic.